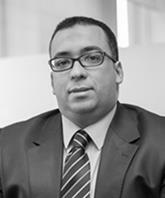 Mr. Anwar Zeidan is a founding partner and head of the Firm’s Procedures and Capital Market Department. He specializes in several legal areas, which mainly include: capital market transactions, M&A, investment banking, taxes and employment. 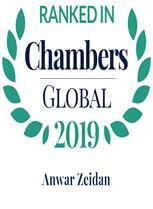 Mr. Zeidan has participated in a number of major transactions and complicated legal issues with a significant number of clients in Egypt and abroad. He has extensive experience in conducting due diligence proceedings and legal audits involving public and private Egyptian companies and banks. Mr. Zeidan is a leading expert in matters related to the Capital Market and advises clients on tender offer, rights issue, swaps and IPOs, stock exchange rules and disclosure requirements. Recently, together with a team of experts at the Firm, he successfully closed the first mixed tender offer by Ahli United Bank Bahrain (in consideration of either cash or a combination of shares and global Euro notes) in late 2009. He also handled the first series of Employees Stock Option Plans in Egypt (ESOP) and is recognized as the leading Egyptian expert in this field setting the models for the market. Merger of Egyptian American Bank, SAE into Calyon Bank Egypt, SAE for approximately USD591 million. Sale of 93% of the Shares of Amoun Pharmaceuticals Industries Company for approximately USD459 million. Acquisition of Orascom Building Materials Holding, SAE (OBMH) (a wholly owned subsidiary of Orascom Construction Industries, SAE) for approximately USD12.9 billion and assumption of USD2 billion of debt in conjunction with a capital increase by Lafarge to be subscribed to by NNS Holding, a family company controlled by Nassef Sawiris for approximately Euro 2.8 billion. Sale Share and Exchange Agreement between Vimpelcom and Weather, the indirect majority shareholder of Orascom Telecom for approximately USD 6.6 Billion and the carve out of MobiNil, ECMS and other assets which will continue to be owned by the current shareholders of Orascom Telecom. Sale and Purchase Agreement between Electrolux and Paradise Capital, SAE whereby Electrolux has acquired 52% controlling interest in the leading Egyptian major appliances manufacturer, Olympic Group, SAE through a Mandatory Tender Offer for 100% of the shares. Total value of the transaction exceeds USD 450 million. Purchase of approximately 18.7% stake in Commercial International Bank (Egypt) SAE for approximately USD 488, 099.53. Acquisition of Palmyra Real Estate Development Company a Syrian Company by SODIC Company in the amount USD 40.5 Million. Mandatory Mixed Tender Offer by AUB for all the Shares available for sale up to 29,808,579 Shares representing 49.68% of the Shares of Ahli United Bank Egypt SAE for approximately EGP 1,102,917,423. This is the first precedent of its kind as it incorporated a swap alternative of AUB shares and Eurobonds. Acquisition of a majority stake in Egyptian Glass Company SAE through a tender offer for approximately EGP 486 Million. Mandatory Tender Offer to purchase up to 100% of the shares of B-Tech to Kafila Trade and Distribution for approximately EGP 203,796,760. Mandatory Tender Offer to purchase up to 100% of the shares of Namaa for Development and Real Estate Investment to Rawasi Real Estate Investment for a value of EGP 444,957,697. Rights issue in the amount of USD 53,909,100 Million for Guardian Egypt. Rights issue in the amount of EGP 550 Million for Six of October for Development and Investment (SODIC). Acquisition of 75% of the issued capital of ACAPI Egypt, one of the leading pharmaceutical companies in Egypt for the value of EGP 123,250,000 by Dr. Sarwat Bassily. 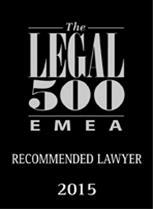 Mr. Zeidan has obtained his law degree from Alexandria University, and is a practicing lawyer since 1997. Mr. Zeidan’s working languages are Arabic and English.